Rwandan President Paul Kagame defended on Friday a December referendum that could allow him to extend his time in office through 2034, a move that has been criticized by the United States and other Western powers. Kagame, who has been effectively in control of the central African country since he marched a rebel army into its capital Kigali in 1996, ending a genocide that saw 800,000 massacred, contended he was following the will of his people. "Rwandans, most of whom are under 30 are more concerned with reaching our potential than sliding back into the dark past," Kagame said in a speech at Harvard University in Cambridge, Massachusetts, just outside Boston. "There is a new democratic fundamentalism that values form over substance," Kagame added. "If it is inherently undemocratic to amend constitutions, why do they contain provisions for doing so everywhere?" The U.S. State Department last month said it was "deeply disappointed" in Kagame's decision to seek a third term in office. 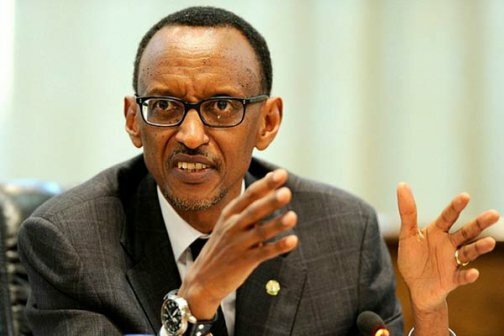 "If some people seek to stay in power when their people don't want them - and it has happened, I've seen it in Africa - that will always end in a disaster," Kagame said. "Is it the same case with Rwanda? I'm telling you no." He said little about the fighting in neighboring Burundi, where more than 400 have died since that nation's president, Pierre Nkurunziza declared his intentions to serve a third term in April. Some 250,000 people have since fled Burundi and a confidential report to the United Nations Security Council first revealed by Reuters early this month accused Rwanda of recruiting and training some of them as fighters, with an eye toward unseating Pierre Nkurunziza. Rwanda has denied those charges. "It has been messy for the last couple of years," Kagame said.